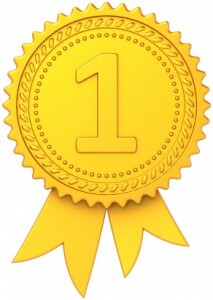 Internet Marketing: How Important is First Place? As website owners and operators, we all spend a lot of time worrying about where we rank in Google search results. Google is by far the most widely used search engine – holding down a huge 83 per cent of the market – so they are of course the primary focus for many. And yes, in order to be successful at Internet marketing in Calgary, it IS very important to rank on the first page. But just how much better is first than second? And do people REALLY click on sponsored links before the rest? Internet marketers spend a lot of time debating the overall benefits of tools like Google Pay-Per-Click (PPC) advertising and Search Engine Optimization (SEO) strategies, and there are a lot of ways to measure overall progress. But how well do we actually know the user and is there any real way to anticipate their actions? Where Do People Look First? According to Google themselves, people tend to look at the top left of a page first. Just about every site designer adheres to this policy, and you’ll notice that the vast majority of websites have a logo or emblem located in that precise spot of real estate. Results of heat studies show that the eye then generally travels to the right, and then scans downward. All of this happens in a split second, though, so quickly that nobody really knows except for the user what exactly the brain is processing. Some may be attracted to larger type and boldface. Others may find themselves drawn to an image. The only trend that can truly be identified is that people most often follow the order of the results from top to bottom, hence the well-known importance of ranking well in a search. It doesn’t really matter where the eye travels, though. It’s what the mouse clicks that is the most pivotal. Results of a study conducted by Optify in 2011 show that first place on Google earns a 36.4 per cent click-through-rate (CTR). Second place gets 12.5 per cent of the share, and third receives 9.5 per cent. After that CTRs lower by one to two per cent per placing. The study also averaged out CTRs per page, and found that page one sat at 8.9 per cent versus page two’s 1.5 per cent. What isn’t measured by the Optify study, however, and simply can’t be tracked in any way except through individual sites themselves, is the decision that the user eventually makes. CTRs definitely show the importance of a high ranking in a Google search, but they do not offer any data on where the user eventually decides to take their business. They are simply a way to measure the research habits of those looking for information on the Web, and not a lot more than that can be determined by the numbers. What is the Science to Internet Marketing in Calgary? All smart business owners know that you should never put all of your eggs in one basket when it comes to marketing. By focusing solely on search rankings you can do your website a disservice overall. A lot of money and resources can be poured into a Google Adwords campaign, but once people get to your site they’re on their own. If you fail to present the information they want in a manner they wish to receive it, then they will leave in lieu of another search. Diversify your assets throughout your entire Internet marketing strategy, be reliable and predictable, and you will earn long-term, loyal customers.